I have another great item to share! If you talk to me regularly, you know I just don't sleep. I have added Young Living essential oils to my routine...and that has helped... but I just don't sleep great. This may be too much "TMI" for some of you....Chris and I have had a queen bed since we got married. In the last year, I always felt like I was keeping him awake so I would end up sleeping in one of the girl's rooms or on the couch.. or several places a night. He calls me the "nomad" sleeper. Tucker, our 7 lb yorkie-poo follows me where ever I go. If I move locations, he moves with me. About two months ago, I told Chris... "We need a king bed - Tucker and I are coming back". I just need a king bed - just more room to move and not feel like I am driving him crazy. Chris read about Tuft & Needle and REALLY wanted to give it a try. 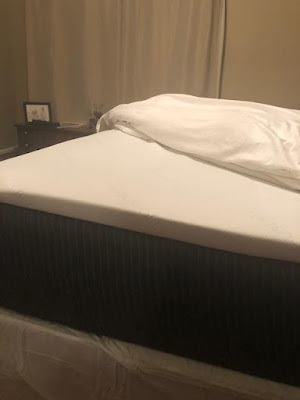 We got the King mattress. There are two choices- we went with “The Mint”. 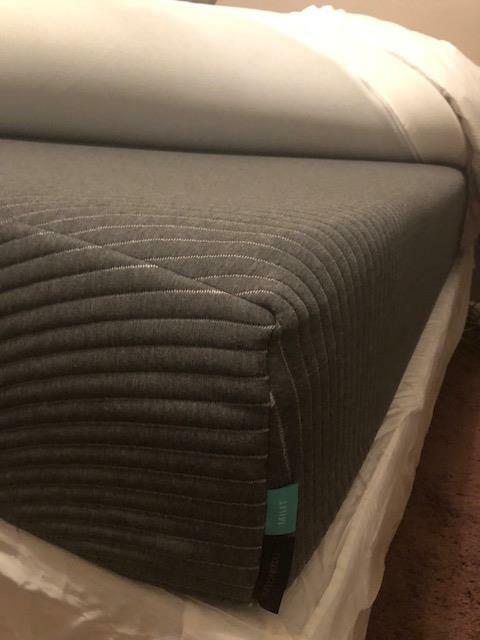 A few fun facts...*95 out of 100 people keep the mattress but if you try it for 100 days and don't like it, Tuft & Needle will refund your money, pick up your mattress and donate it to your favorite charity. You just can't lose! *And....the mattress comes in a 19 x 19 x 44 inch box. We started off with just the mattress and slept on it for a few weeks. Chris loved it as is but I was thinking I might like a little more “squish”.. Chris read in the reviews that they had a softer foam pad they would send we if you needed a little extra "something".... for no extra charge. We just got the new layer and I love it. Chris thinks the new layer is "too hot" for him so we are taking it off for a bit to re-evaluate. Chris thought the cutoner service was point on. We were both very pleased with the service. Please visit the Tuft & Needle website. Currently, they are having $100 off if you spend $1000.